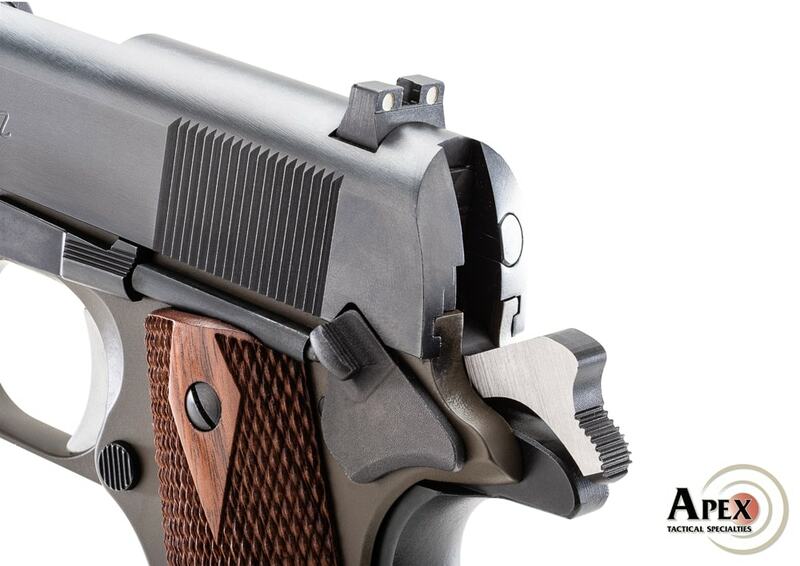 Apex Tactical Specialties unveils a new line of precision made performance hammers designed specifically for the 1911 platform. The brainchild of Apex founder Randy Lee, the 1911 hammers are manufactured from heat-treated A-2 tool steel and precisely cut on a wire EDM. The process lends itself to consistency, allowing the hammers to achieve perfectly square hammer hooks, according to Apex. “The result is a hook profile that requires no stoning or polishing for performance,” Apex said in a news release. The hammers draw inspiration from the key hook geometry of a 50-year-old National Match Government model 1911. The hook height is 0.18-inches to .020-inches, delivering a consistent, clean break of the trigger. 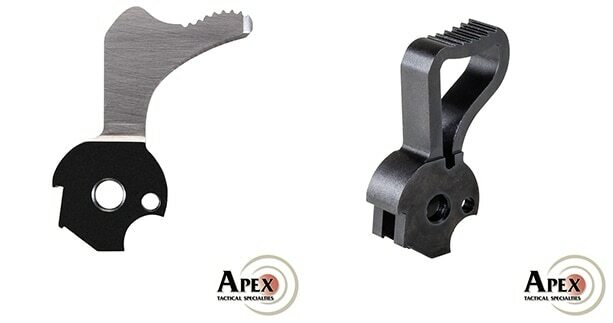 Apex says when the hammer is paired with a premium sear, trigger pull falls around 3.5 to 4-pounds but can be tuned lower for competition use. The hammers come in two styles — the Classic Spur-Style Hammer and the Commander-Style Hammer. 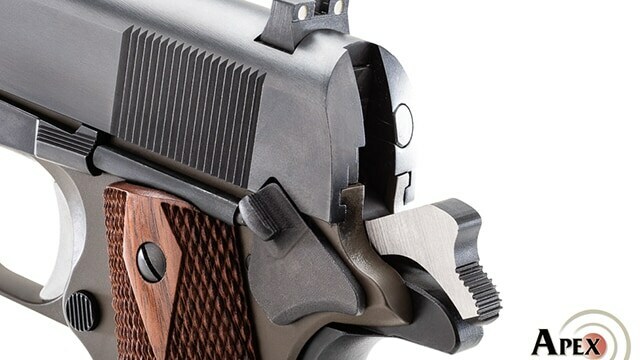 The Classic Spur-Style is a direct replacement for the original Colt spur hammer while the Commander-Style Hammer is a drop-in replacement for Commander-Style 1911 hammers. Both Apex hammer models are available from Apex with a MSRP of $79.95.